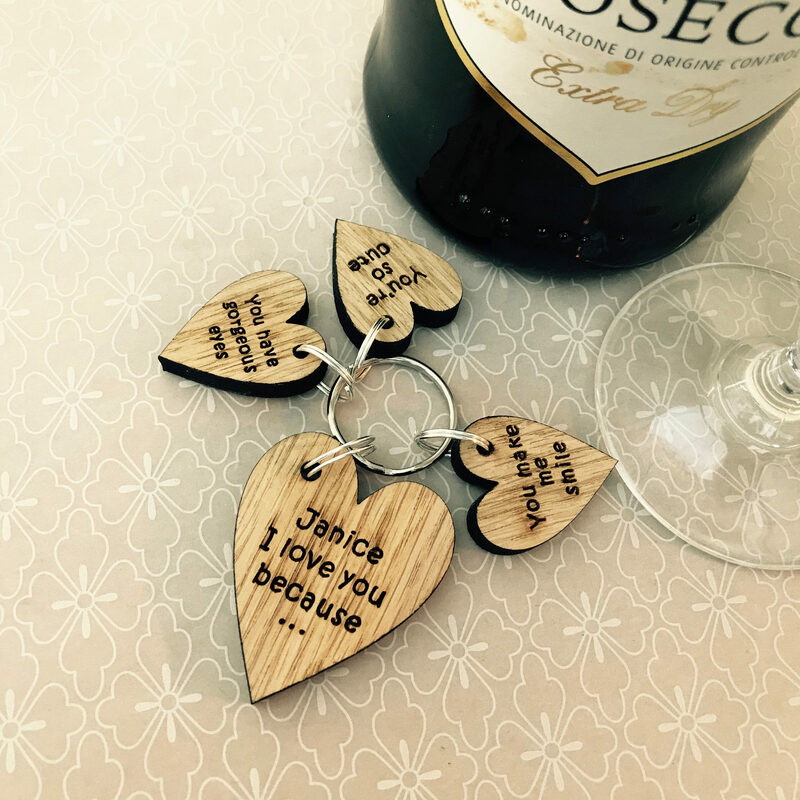 Personalised Keyring Gift Set 'I Love You Because..'. 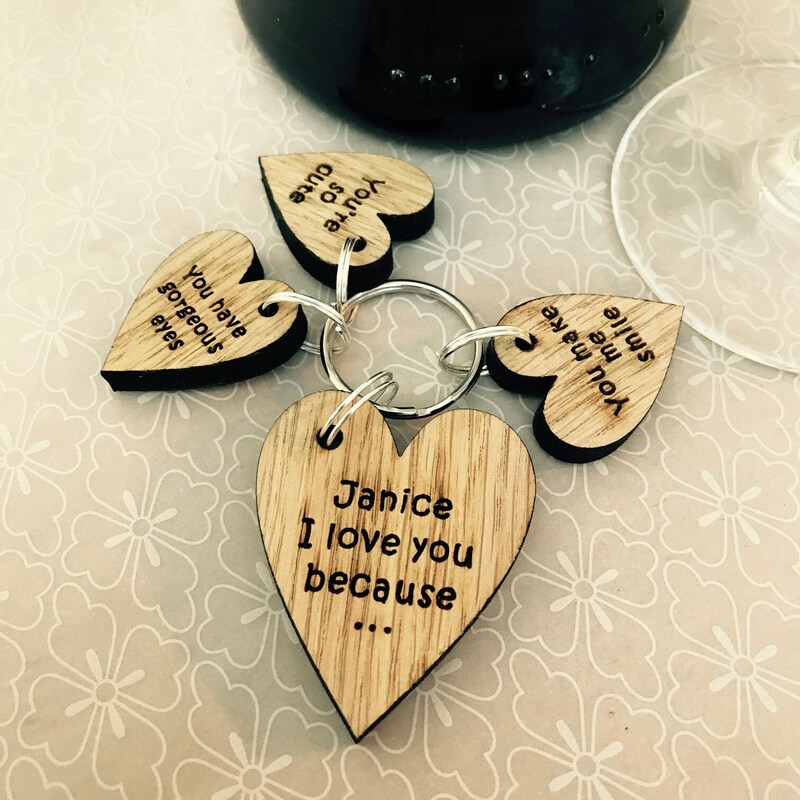 Wooden Engraved Special Gift for Mother's Day or Father's Day. Perfect for Him or Her. 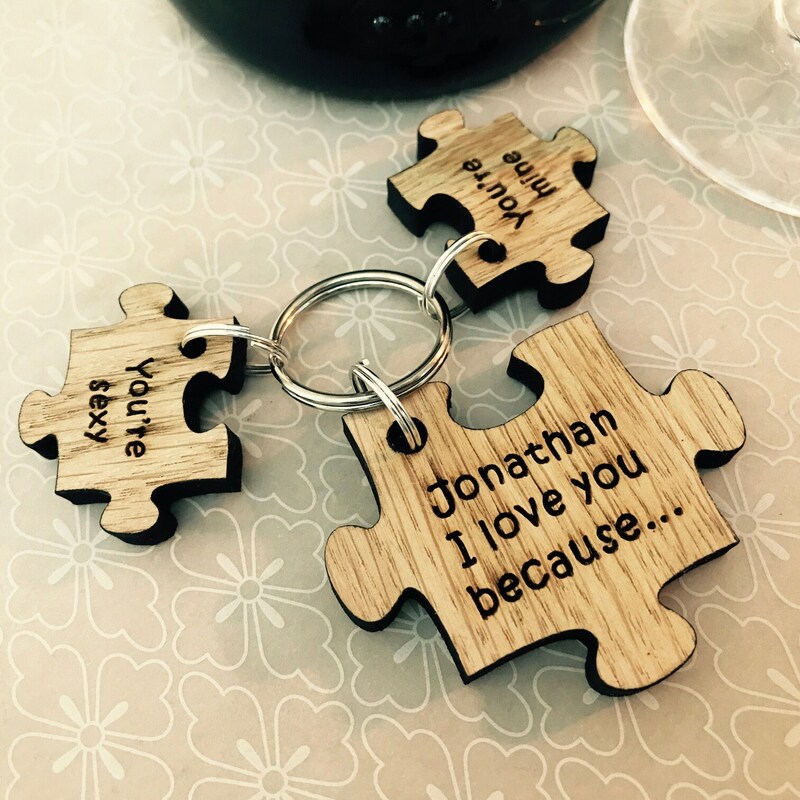 · Personalised With Your Own Text on each piece. 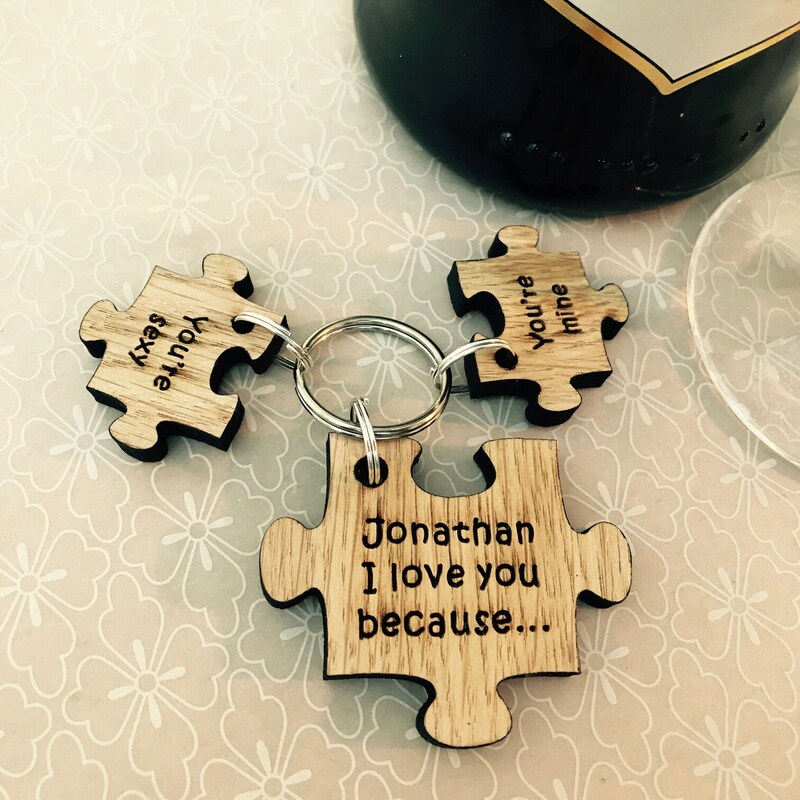 ✦ Please leave full instructions as to what text is to be engraved on each piece, you may purchase upto 6 attachments per keyring - max 20 characters per piece.